Mr. Selfish was quite delighted that Cathay Pacific opened a new route between Hong Kong and Malé, which is the capital of the Maldives. 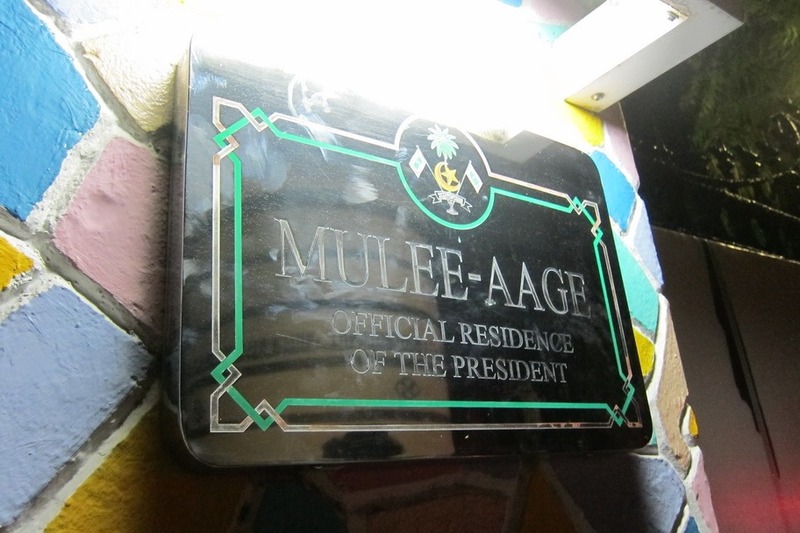 However, there is only one flight in and one flight out of Malé per day. Due to the timing of these flights, we had to spend a little bit of time in Malé before arriving and after leaving the splendor that is the Conrad Rangali. 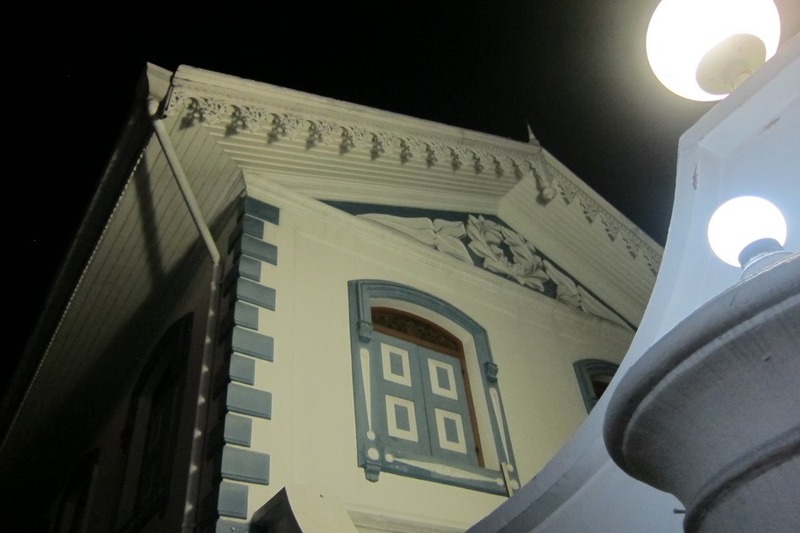 The Cathay flight from Hong Kong arrives in Malé at 9:20 pm. Mr. Selfish and I stayed the night at the Hotel Octave, which was clean and spacious. 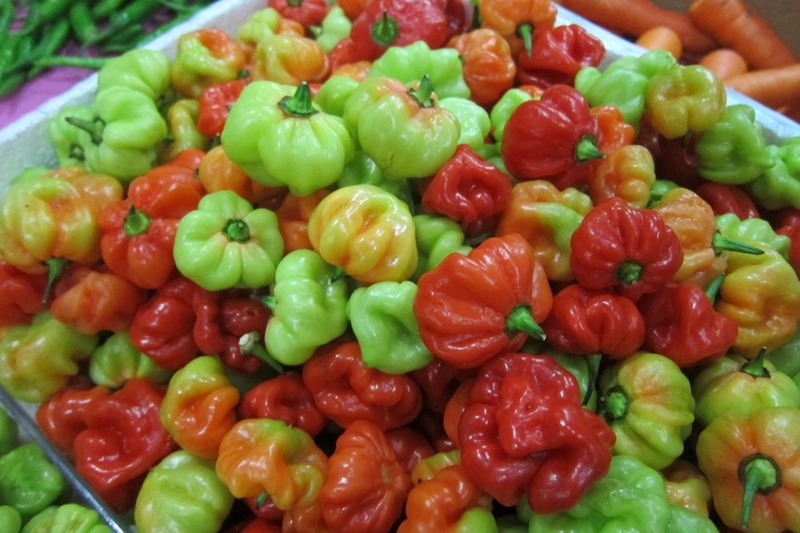 Plus, the hotel offers complimentary pick-up and drop-off to and from the airport, as well as free breakfast. 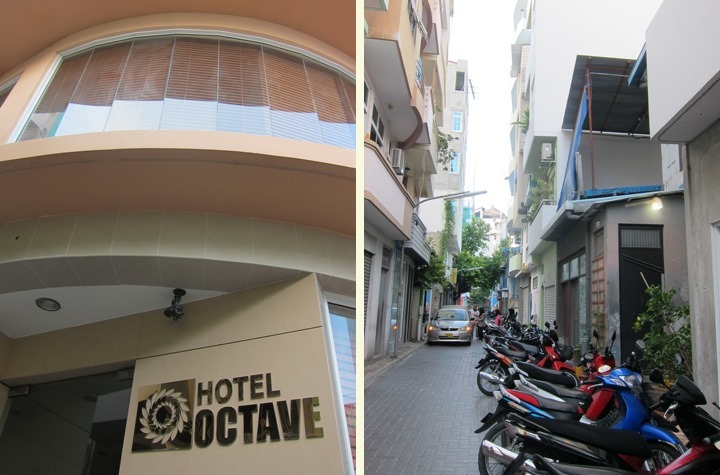 If you’re on the Cathay flight and have a night to kill in Malé, I recommend the Hotel Octave. The airport is on a separate island from Malé proper. 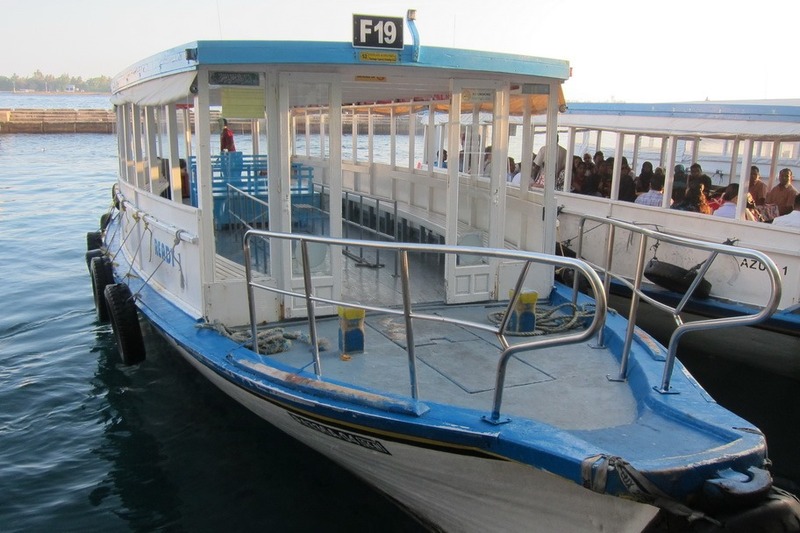 You have to take a ferry that costs $1 USD per person and per way to travel between Malé and the airport. 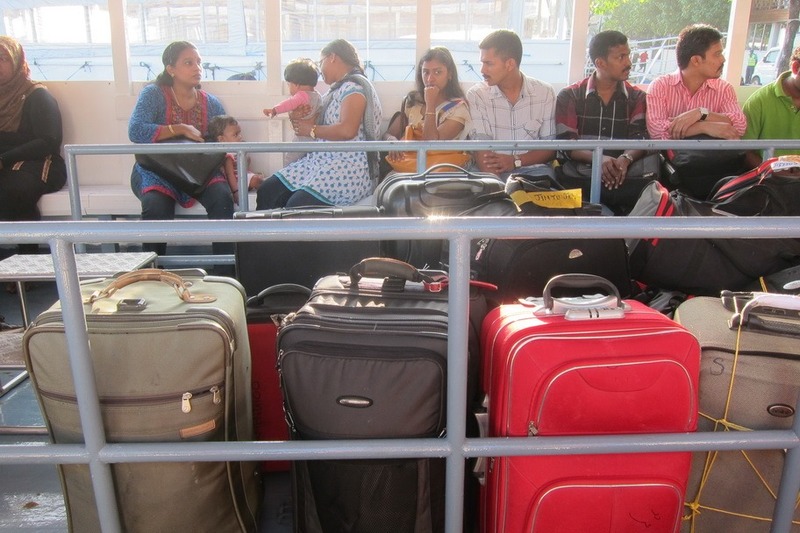 It’s a rather painless ferry ride, but the ferry doesn’t leave until it is full of passengers. The ride only takes between 15-20 minutes depending on whether you have the “fast” ferry or not. 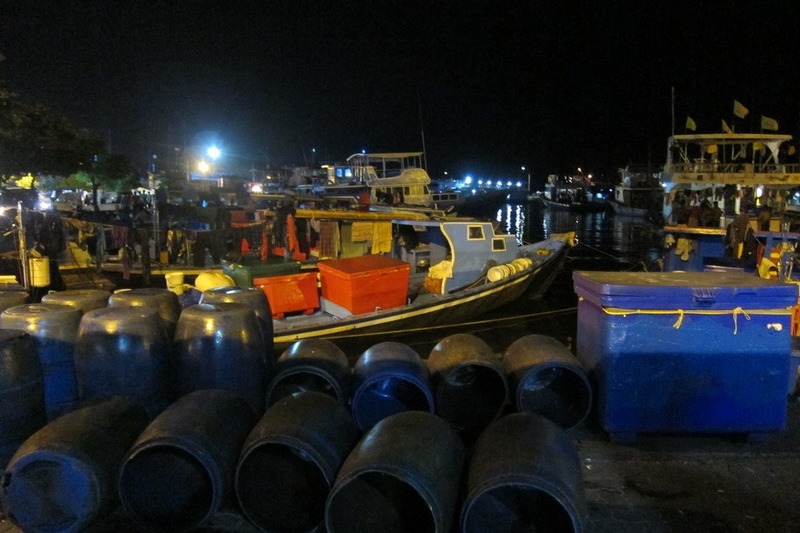 Upon leaving the Conrad, we had quite a bit of time to kill in Malé. 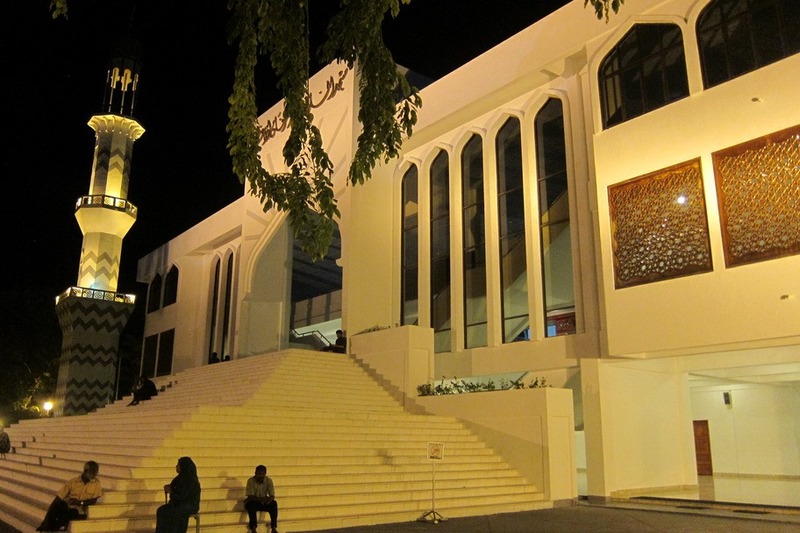 The single Cathay flight out of Malé leaves at 11:35 pm. Considering that the sea plane flying from the Conrad can only fly during daytime, passengers on that Cathay flight have quite a lot of time in Malé. 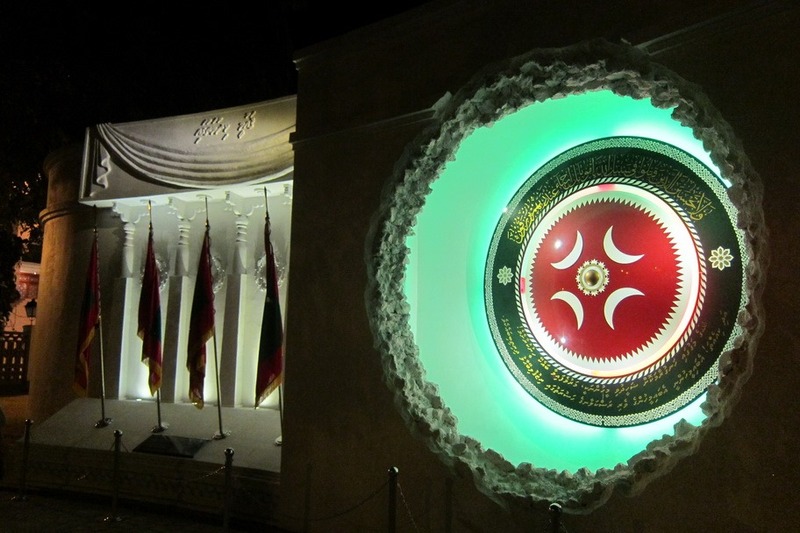 Fortunately, the Conrad offers a complimentary walking tour of Malé with a private tour guide. 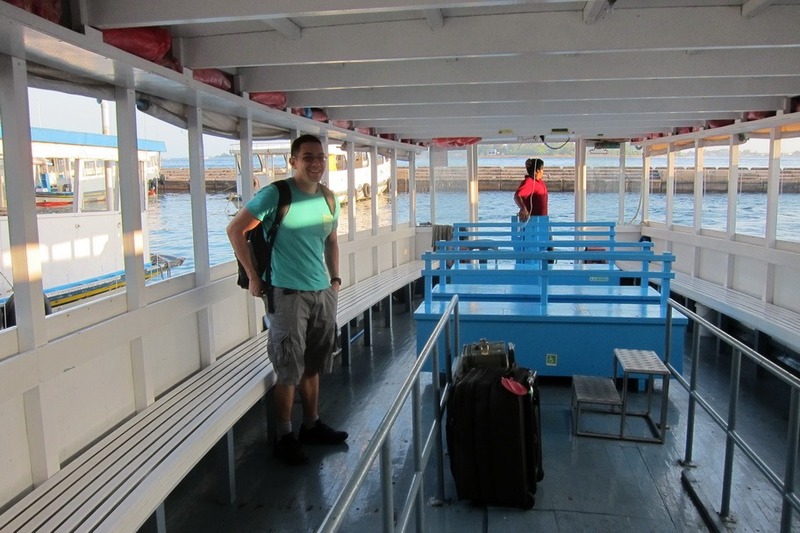 The only cost is the round trip ferry ride between the airport to Malé proper, which was only $4 USD for me and Mr. Selfish. Our guide spoke excellent English and was very informative. 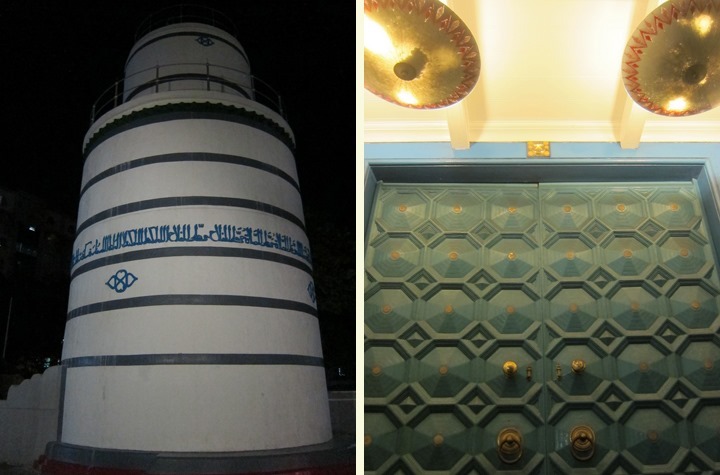 He showed us several old mosques, a Victory memorial, and the royal family’s former residence. 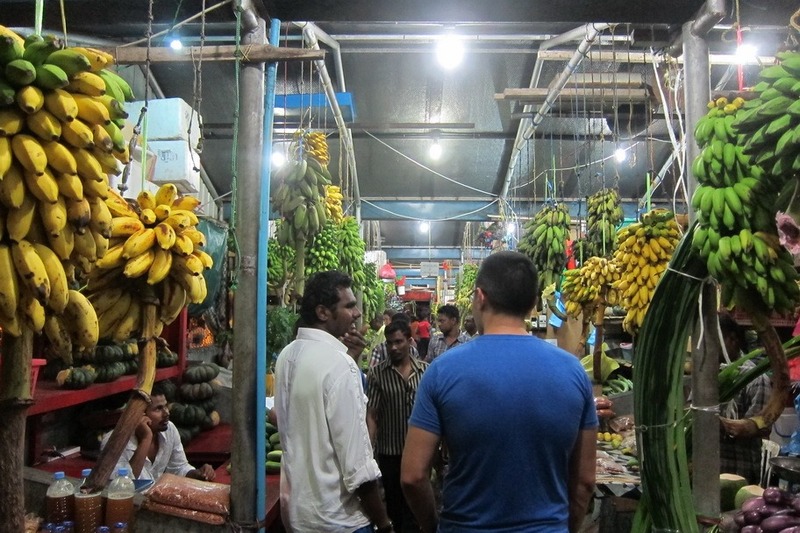 We also walked through the Malé market, which is right on the water and sold tons of produce. 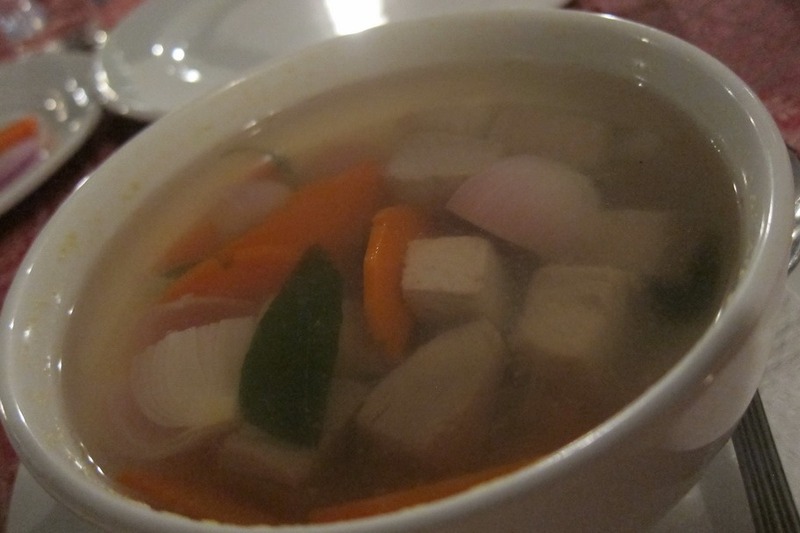 Around dinner time, our guide suggested that we eat at a Chinese restaurant. 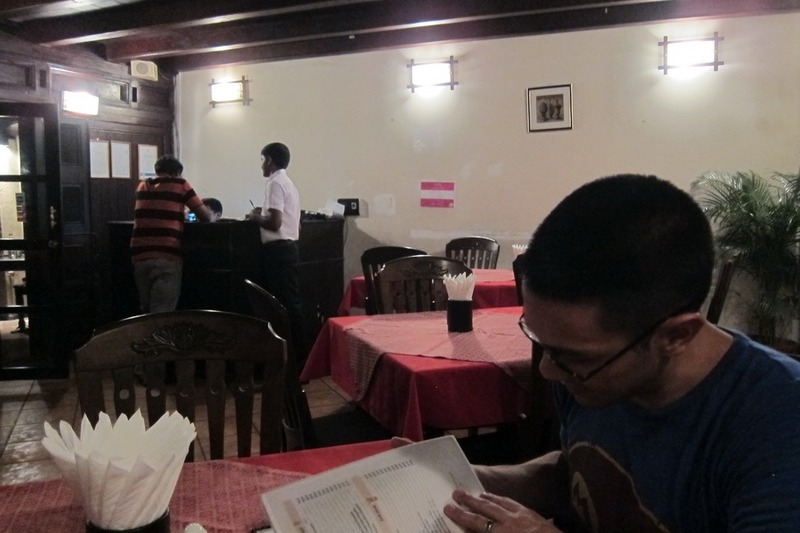 Since Mr. Selfish is not too fond of Chinese food, we asked him to take us to a local restaurant. 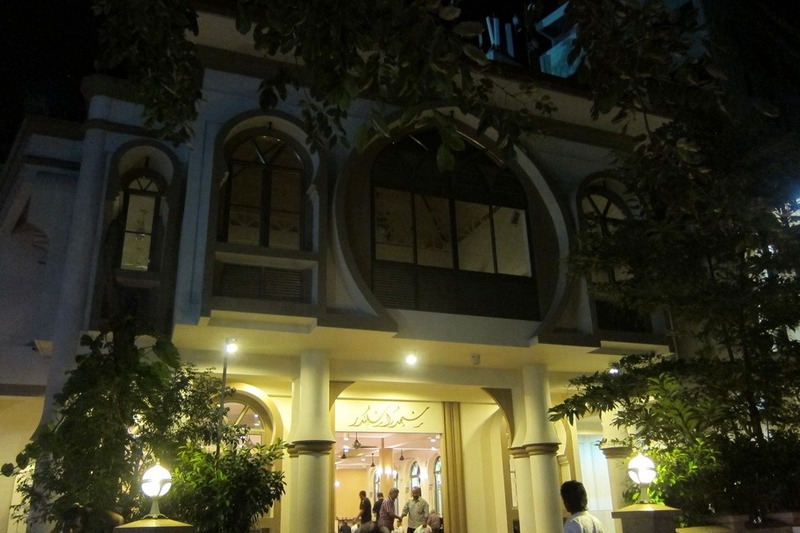 After much prodding, he took us to the Royal Garden Café, which specializes in Maldivian food. 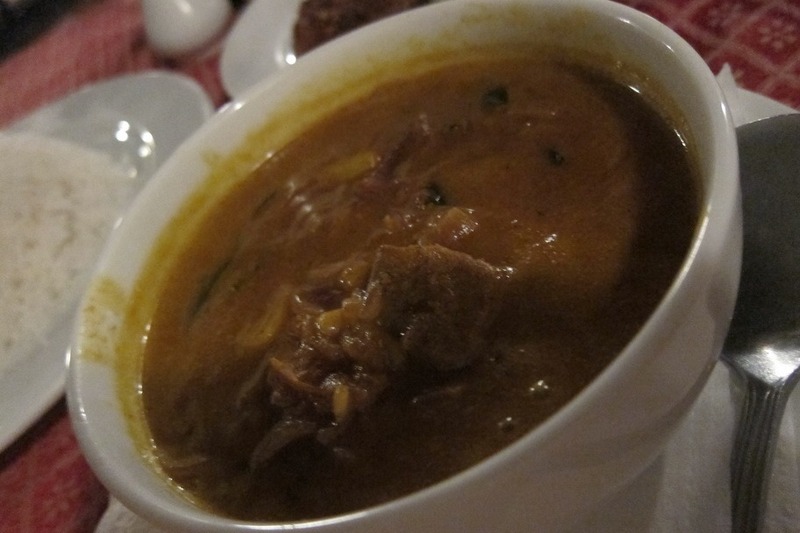 We ordered the Garudhiya and Baly, which is a traditional Maldivian dish with fish broth and spicy grilled fish with lime, onion, and green chili, and the Maldivian tuna curry. 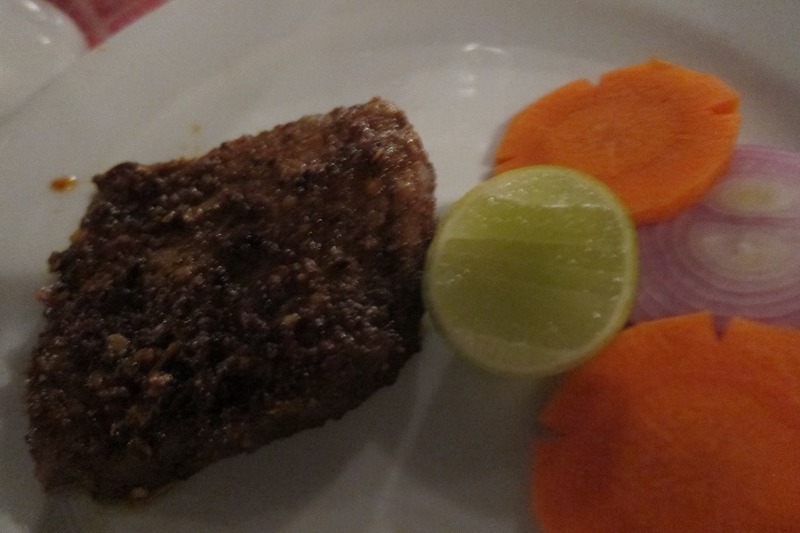 Both were delicious but the spicy grilled fish was especially good with a very distinct flavor. 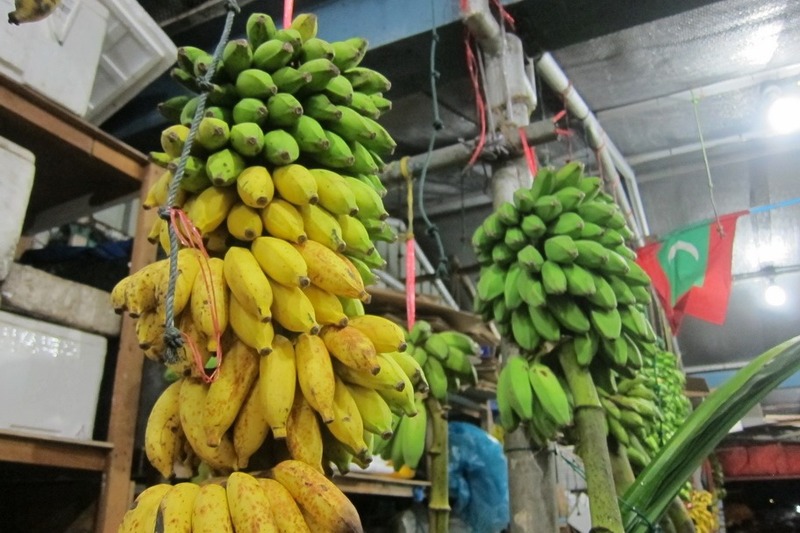 Finally, our guide took us back to the airport. 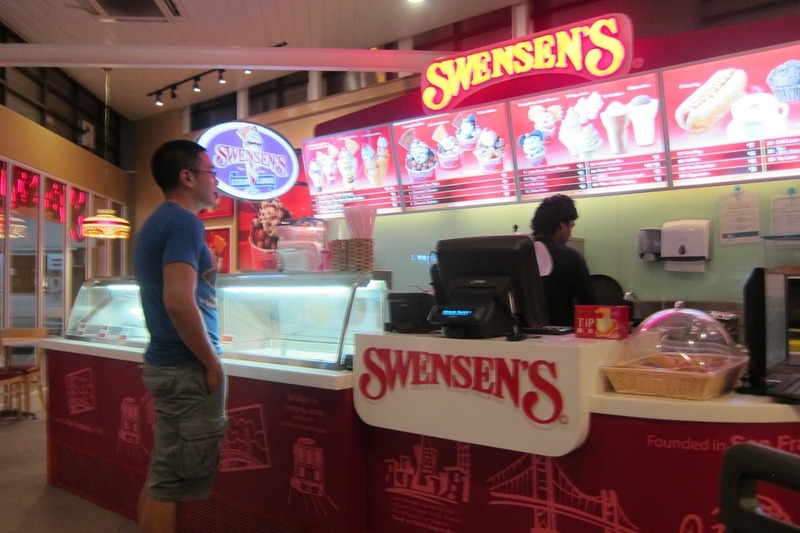 That is when we noticed that there was a Swensen’s ice cream shop in the airport. 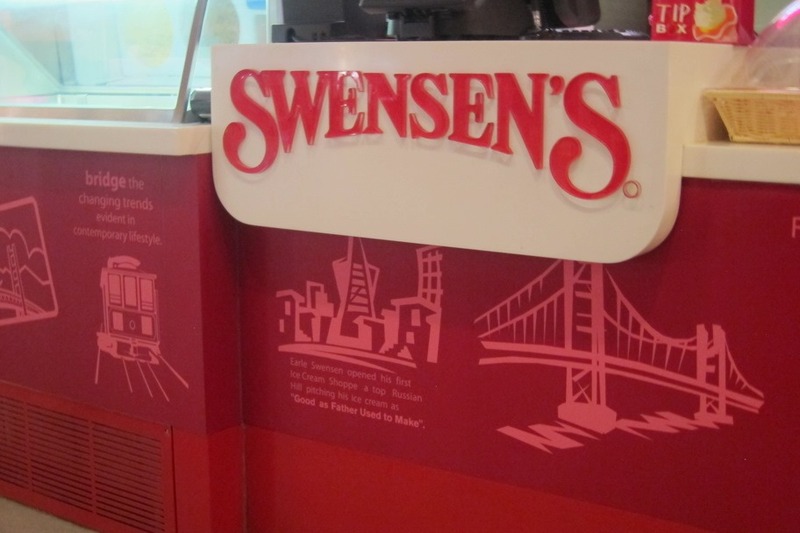 We couldn’t resist since we live about three blocks away from the original Swensen’s shop in San Francisco. With our bellies full of Swensen’s ice cream, we then went to the airport lounge and waited for our flight back to Hong Kong. Next up is the Japan part of our trip. 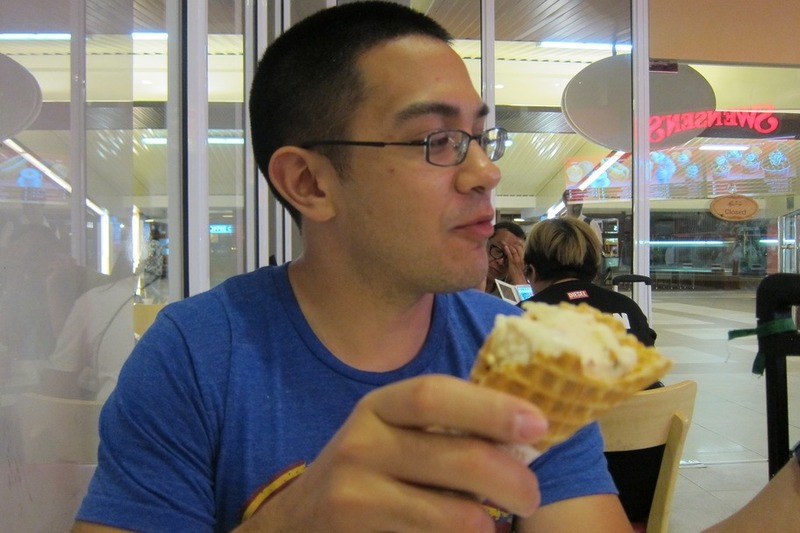 Great set of blog posts! Loved the detailed photos and descriptions. Now I feel ready for my upcoming trip to CM in March! You’ll love it in the Maldives. Enjoy!